Monumental landscape has played an important role in the creation of this project through the lens of the political. As a photographer I am seeking to use my own agency to voice opinions of loss and violence due to global warming upon our environment. I am interested in the complicated viewpoint of the camera and how it measures my involvement in the document of land. My own connection to the environment is a story told through surviving cancer, feeling rooted to the earth, and my reverence for the mystery of nature. In the last five years I have photographed landscape as a genre to explore the emotional expression of reverence for the earth, and my presence within it. 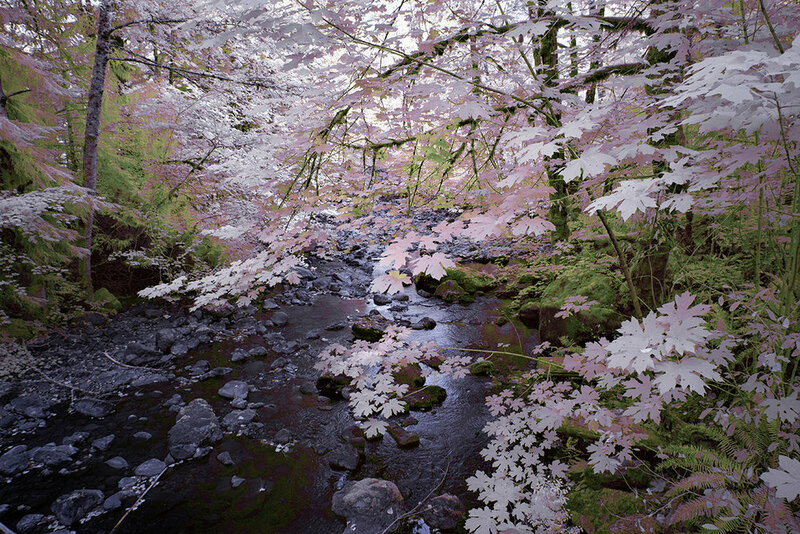 This work is shot with a hacked digital sensor; the infrared block was removed to permanently change the scope from full spectrum to IR specifically. I focus my lens on what is strategically considered picturesque, but I am not interested in rendering the landscape in a way that speaks to the traditional. 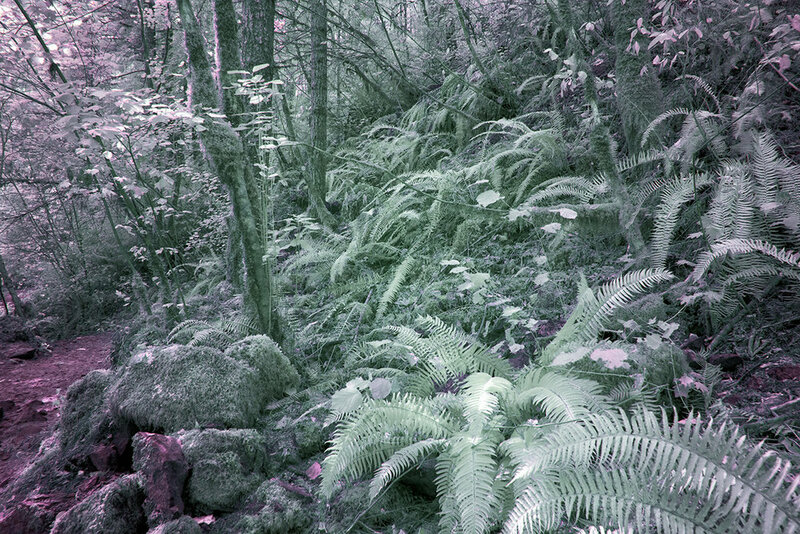 I am interested in the unconventional position of recording light, the warming earth, and the violent colors brought to the surface through infrared technology. 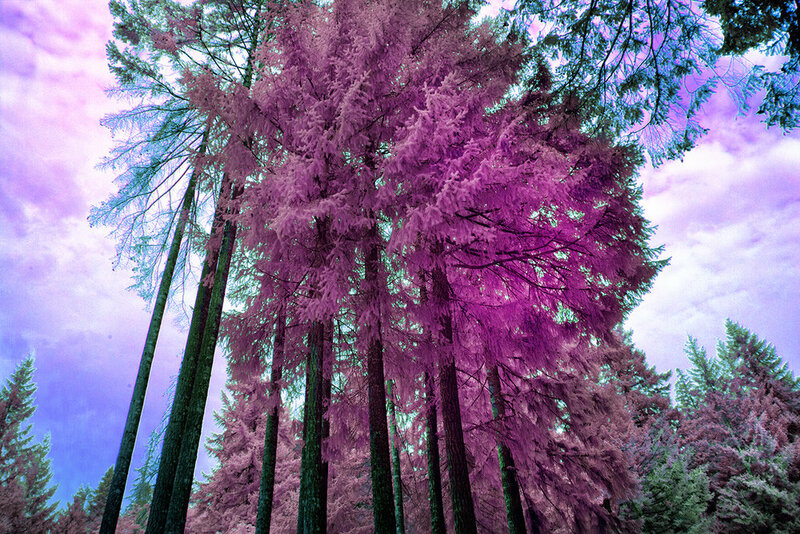 It is because of infrared, the resulting imagery appears familiar, yet extraterrestrial. Shot in the summer of 2017, during the Washington State wildfires, these images exhibit the fallout of months of drought, the land wrought by fires and smoke filled skies. It is what is called the new normal. This project is meant to transform the unknown, the seen for the unseen, and to contemplate the troubled world we live in.